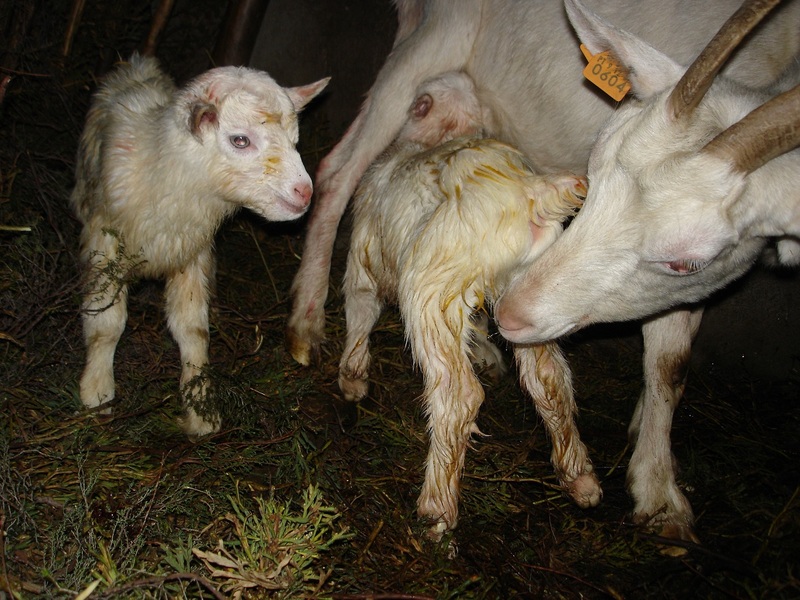 Yesterday evening when I went to milk, I was thrilled to find that Horny the goat had finally produced a little one. I rushed off to fetch the boys, and in those few moments that I was gone she had a second one. This photo was taken within minutes of the births, so no apologies for the quantity of gore in evidence! Sadly one of the new kids died over night. It was still streaked with muck from the birth, so we think it must have happened very quickly. 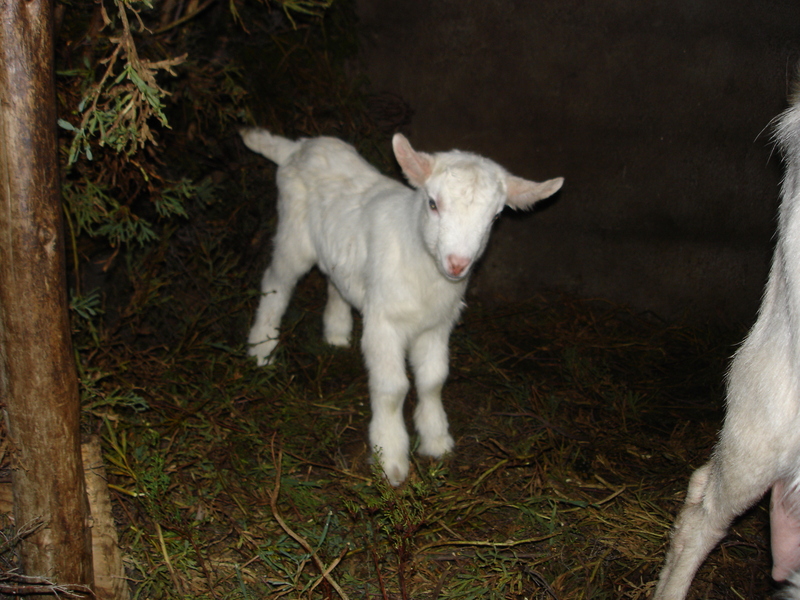 Number two is doing well though and is already kicking his heels together in that wonderful way so characteristic of little goats. Yes, it’s a boy. Jeroen is already collating recipes! It’s been raining since it was born so Mum Horny has been pretty much confined to quarters and is champing at the bit to escape. She’s been for a couple of quick walks but I’m not risking putting little one out with her just yet whilst it’s miserable. Horny is taking motherhood as an excuse to be even more objectionable than normal. The two younger goats are spending all their time actually inside the manger just to escape from her. As if we needed it, another reminder to get on and build more animal accommodation. When we’re short of accommodation for ourselves, it’s so hard to prioritise. Congratulations, he’s gorgeous! Has he got a name yet? Jeroen has named him Assado, which means Oven Roasted!